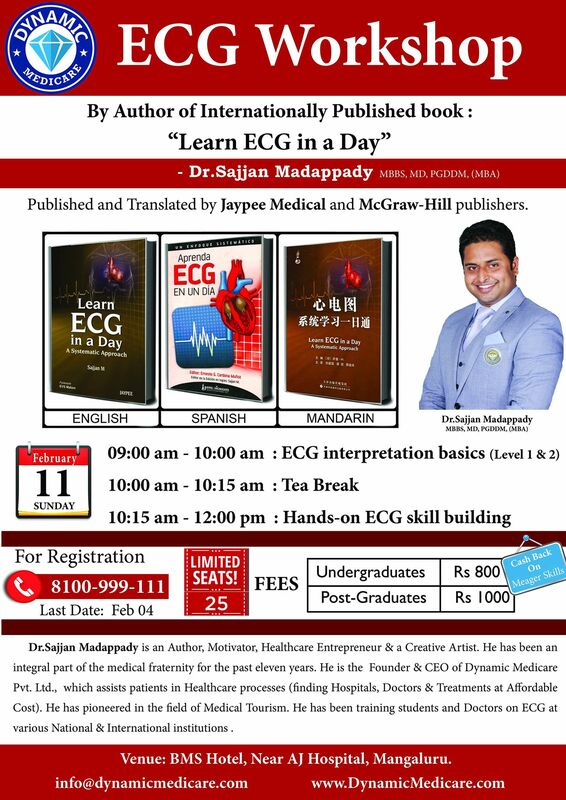 ECG workshop By Dr.Sajjan Madappady, Author of Internationally published Book "Learn ECG in a Day"
Published and Translated by Jaypee Medical and McGraw-Hill publishers in English, Spanish & Mandarin languages. Limited Entry of 25 participents . Learn ECG in an innovative way with a creative 3dimentional concept. In just ONE hour. 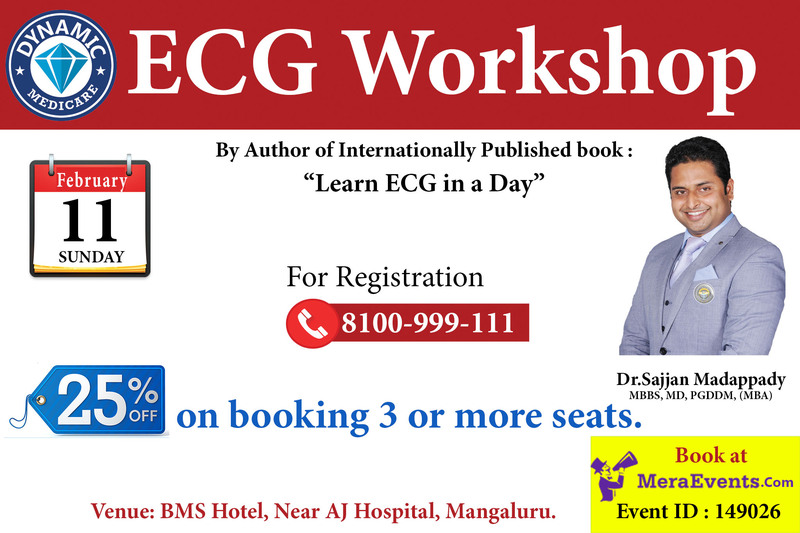 With our Exemplary systematically designed ECG workbook, you will apply all the skills learned to self-interpret ECG strips under the guidance of Dr.Sajjan Madappady. Dr.Sajjan Madappady is an Author, Motivator, Healthcare Entrepreneur & a Creative Artist. He has been an integral part of the medical fraternity for the past eleven years. He is the Founder & CEO of Dynamic Medicare Pvt. Ltd., which assists patients in Healthcare processess (finding Hospitals, Doctors & Treatments at Affordable Cost). He has pioneered in the field of Medical Tourism. He has been training students and Doctors on ECG at various National & International institutions.